GHOST HUNTERS: Season 8.5 Returns With A New Investigator! 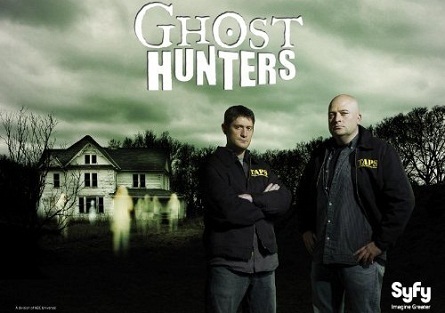 “Ghost Hunters” returns to it’s eighth season with long-time investigator and co-founder of The Atlantic Paranormal Society (TAPS), Grant Wilson, now gone with co-founder Jason Hawes remaining with the rest of the team to continue their investigations on Syfy. The remaining half of the season will have the TAPS team exploring the paranormal in the Southern states. These block of episodes are themed “Southern Spirits”. Hawes took some time-out to talk to reporters during a recent Syfy press phone conference call. The call opened-up with Hawes making a special announcement! Hawes says he will introduce a new investigator to the team starting in September 26th episode which is titled “Don’t Feed the Apparition” where the TAPS team investigates the Alexandria Zoo in Alexandria, Louisiana. “We ended up bringing-in new investigator Ashley. I honestly believe it’s going to be one of the best seasons ever!” said Hawes. “We were able to investigate a zoo. That’s tough enough if you think about it. We investigated the ghost of the first female serial killer. Some people who were actually on production ended-up having a situation. I can’t get into any details But, it lead to an interesting investigation,” Hawes said of the episode that will be titled “A Serial Killer’s Revenge” and will air on September 5th at 9pm ET/PT. “I didn’t think we’d make it out of the first season. The fact that we’re at 8.5 is incredible. People felt that they had to whisper (about the paranormal). Now they can openly discuss it. That we were a part of that is incredible. It’s advancing and it’s a respected area. That means everything to us,” stated Hawes. “If there’s a typical ghost, if it’s intelligent type of haunt, you can make contact and communicate back and forth. If you’re dealing with an elemental type of activity, you’re dealing with something that is purposely trying to avoid you. But that’s creating fear and trying to push you out of a wooded area. You’re trying to document something that is hiding-out. It’s a total different style of investigation. Plus, being outside you’re dealing with animals, insects and other types of contamination issues that come into play. “Every time before I do another season, I sit down and talk to my wife and children and it’s a choice we make as a family. If my kids say Dad I prefer you not to, then I would walk away knowing I’ve been able to bring it this far. I’ve been doing this before my kids were born. My oldest who is twenty-one used to come downstairs as a little kid and see Grant and Steve and I trying to figure out cases. She sees how this thing has grown. If the show can survive without me? I think it could,” Hawes said. He also said it would be up to the “Ghost Hunters” audience and investigator Steve if he would want to carry the torch. Unfortunately, Hawes said he will not be doing a Halloween show this year. He’s spent a lot of Halloweens away from the kids. “One thing I can’t stand is getting picture texts to feel that I’m there,” said Hawes. He sated that it’s a big holiday for his family. He does confirm that Maddie will return to some of the cases. Hawes said that he doesn’t like to drag her on too many cases because the travel time in the car is too tiring on her. What Qualifies a Haunt for GHOST HUNTERS To Investigate? I’m working with a company right now on an App that will be able to take any android and iphone, ipads, and be able to work off of meters that are built into them. I was using a proto type the other day. There’s a lot of equipment out there that is laughable. These boxes that are generating voices. The voices are programed into these devices. There’s a lot of things out there that is holding the field back. You’ll be able to see a lot of newer stuff come out from us and other areas. 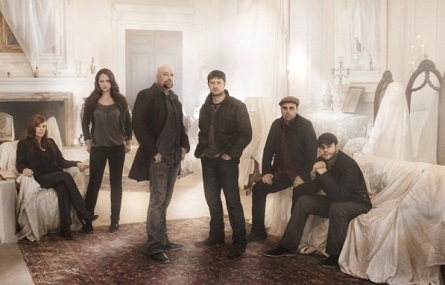 “Ghost Hunters” returns to Syfy Wednesday, September 5 at 9pm ET/PT. DO NOT TOUCH ME! Now, repeat over & over….. And- Amy’s pregnant, so now they have an investigator that can’t investigate? 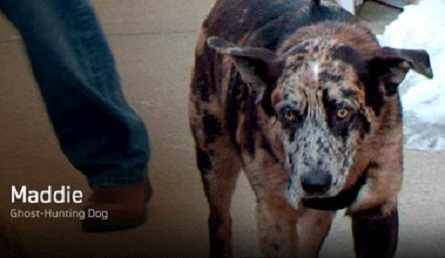 I can’t stand Adam or Ashley (don’t touch me… why are you scratching me??? ), because the ghosts can’t stand you either. I hope this show improves- quickly. God I miss Grant! Bring Maddie in to bite Adam & Ashley. LOL! Oops- it’s Hagar, not Ashley. My mistake. Hope they don’t have Hagar on the show anymore. I enjoy the show very much. I’d like to recommend a movie, “Grave Encounters,” which starts off as a spoof of ghost-hunting type shows, and gradually morphs into a genuinely scary film. One question: why is there such a turnover on the various teams? It seems that everyone gets along (other than the occasional raspings which happen everywhere), and then suddenly someone’s gone. There are now only two from the original cast, Jason and Steve. GHI has a similar turnover rate.